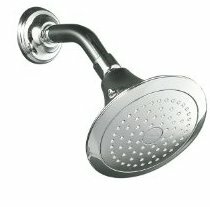 ALL INFORMATION AND MATERIALS AVAILABLE AT THIS WEB SITE ARE PROVIDED “AS IS” WITHOUT ANY WARRANTIES OF ANY KIND, EITHER EXPRESS OR IMPLIED AND ARainShowerHead.com DISCLAIMS ALL WARRANTIES OF ANY KIND, EITHER EXPRESS OR IMPLIED, INCLUDING WARRANTIES OF MERCHANT ABILITY, FITNESS FOR PARTICULAR PURPOSE, NON-INFRINGMENT OF INTELLECTUAL PROPERTY OR ARRISING FROM A COURSE OD DEALING, USAGE OR TRADE PRACTICE. 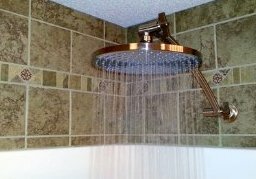 IN NO EVENT SHALL ARAINSHOWERHEAD.COM AND ITS OWNER BE LIABLE FOR ANY DAMAGES WHATSOEVER (INCLUDING, WITHOUT LIMITATION, INDIRECT, SPECIAL, CONSEQUENTIAL OR INCIDENTAL DEMAGES OR THOSE RESULTING FROM LOST PROFITS, LOST DATA OR BUSINESS INTERUPTION) ARISING OUT OF THE USE, INABILITY TO USE, OR THE RESULT OF USE OF THIS WEB SITE, ANY WEB SITE LINKED TO THIS WEB SITE, OR THE MATERIALS OR INFORMATION CONTAINED AT ANY OR ALL SUCH WEB SITES, WHETHER BASED ON WARRANTY, CONTRACT, TORT OF ANY OTHER LEGAL THEORY AND WHETHER OR NOT ADVICED OF POSSIBILITY OF SUCH DAMEGES. IF YOUR USE OF THE MATERIALS OR INFORMATION ON THIS WEB SITE RESULTS IN THE NEED FOR SERVICING, REPAIR OR CORRECTION OF EQUIPMENT OR DATA, YOU ASSUME ALL COSTS THERE OF.